General-purpose computing on graphics processing units (GPGPU) is a massive fine-grain parallel computation platform, which is is particularly attractive for CFD tasks due to its potential of one or two magnitudes of performance improvement with relatively low capital investment. Many successful attempts have been reported in recent years (see, for example [1, 2, 3, 4, 5, 6]). Although early attempts of utilizing GPGPU for CFD has been hampered by the heterogeneous nature of GPGPU hardware and complex programming tools, recent GPU technology has seen significant improvement on programming toolchain. 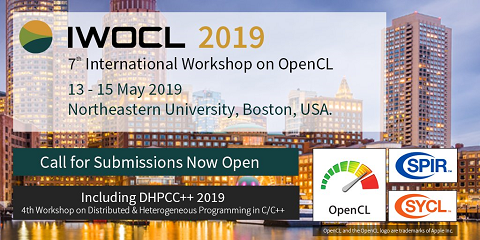 The emergence of OpenACC , a directive-based programming model closely resembling OpenMP, further reduces the obstacles for efficient GPGPU programming. By allowing programmers to use a collection of compiler directives to specify loops and regions of their codes to be offloaded from a host CPU to GPGPU, this programming model offers a good balance between porting efforts and performance gain. As shown in [8, 6], our previous attempts of porting existing CFD codes to GPGPU using OpenACC and MVAPICH2  have proven the advantages on portability and maintainability of this approach.